Pydelspring Cottage01297 441222work Self-cateringLyme Holiday Cottages offer stylish comfortable self-catering for couples, ideally placed close to Lyme Regis on Dorset's stunning Jurassic Coast. 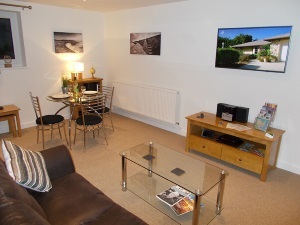 A real home from home, these one-bedroom barn conversion cottages have been carefully designed to provide a high degree of comfort and is fully equipped including high speed wi-fi and a 40” smart TV. It is an excellent base for discovering this beautiful stretch of West Dorset coastline, as well as the county's many attractions. Less than one mile from the coastal footpath. Village location with tea rooms, farm shop, general store and art gallery. High Speed wi-fi 40” smart TV Private parking Children welcome from age 12.